We are super excited to announce that Bettys Cookery School will be joining us in 2019 showcasing their amazing dishes in our cookery marquee. Next year Bettys celebrates its Centenary, so with 100 years of baking knowledge under its belt at Bettys Cookery School you know are in safe hands. 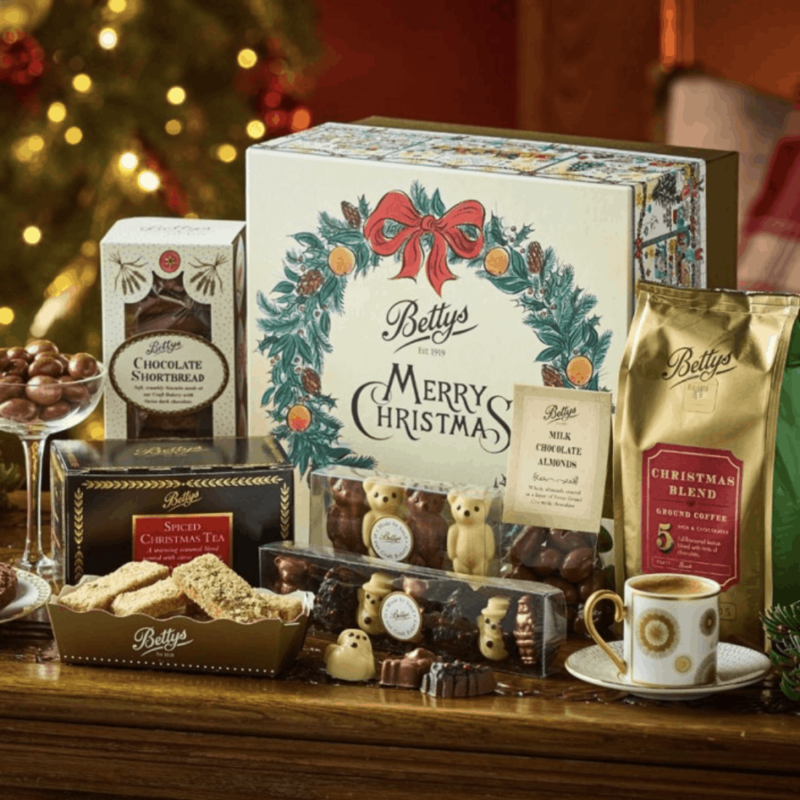 We have a fabulous Christmas Gift Box to give away filled with the most wonderfully festive collection of handpicked treats, including Bettys chocolatiers’ adorable Christmas creations and their special limited edition tea and coffee blends. Housed in a delightful gift box featuring the magic-filled illustrations of Yorkshire artist Emily Sutton. For terms and conditions please visit our main competitions page. Competition closes on midnight on 16.12.2018. The winner will be contacted on 17.12.18. To enter, all you need to do is tell us how old Bettys is in 2019? THIS COMPETITION IS NOW CLOSED – THE LUCKY WINNER WAS JANE FROM LEEDS.